As a web pro, your time is valuable and in demand — and probably in short supply. I don’t recommend fixating on organizational tasks every day, but integrating a number of activities into your regular process helps avoid an overwhelming mess requiring herculean recovery efforts at a later time. 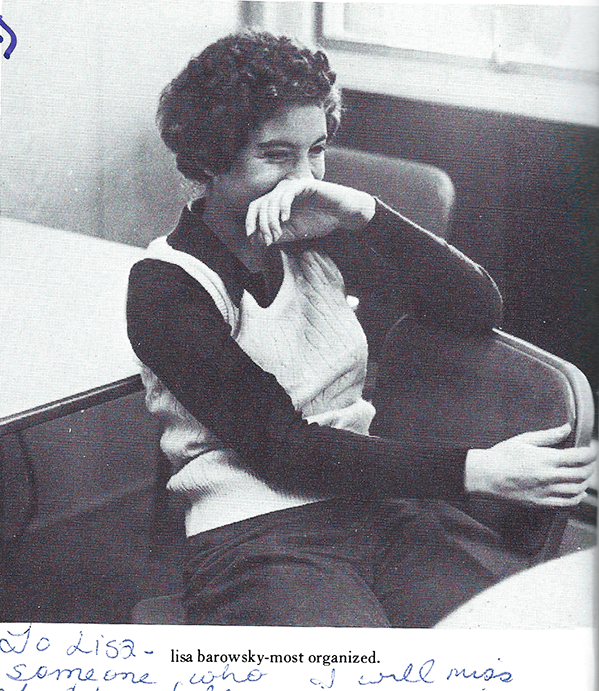 More than 40 years ago, my high school peers voted me “Most Organized,” and while the compliment was not appreciated at the time, it’s a skill that has served me well in the world of web design. I count on Teux Deux to seamlessly sync lists between computer, iPad and iPhone, with multiple options for grouping and categorization. Once a task is in the list, I’m liberated from remembering, and it gets done. My “futures” list establishes reminders in advance, so that I will remember to post time-sensitive content or remove an expired event — even if clients don’t remind me to do so. I avoid scheduling meetings before 10 a.m. Protected time early in the day lets me tackle sticky problems and get caught up on urgent requests that arrived overnight. All personal appointments are scheduled as business meetings, and fiercely protected — including Pilates class, haircuts, my all-too-frequent 3 p.m. Starbucks run, and mid-week errands that are less efficient during crowded weekend hours. Clients know that if I say I have an appointment, I am unavailable to them at that time — even if they don’t know how I’m occupied. With hundreds of client projects over the years, it’s easiest to maintain a well-defined (computer) folder architecture consistently using the same labels. With each new client, I immediately create the standard folder structure. Then as files arrive, they can be quickly saved. I’d love a paperless office, but clients still occasionally provide physical materials demanding archival. I prefer hanging file folders that can be sorted in plastic bins. A combination of colors and tabs keeps everything orderly, and multiple bins segregate current and archived projects. Sets of papers just too large for folders are relegated to binders, but they’re a rarity in my office. I conquer distasteful admin tasks on a regular basis so they don’t pile up. Doing them before 10 a.m. makes me feel even more efficient! At the end of each workday, I invest a few minutes in writing up complete notes for later transcription directly into invoices (including non-billable tasks such as calls or writing proposals). I’d rather document while details are fresh, rather than pull it all together at month-end. I fanatically send invoices on the first of the month, pay bills every Friday, and file every weekend. And call me purge-happy: I run through those beloved hanging file folders quarterly to consolidate and remove unneeded items. Whether you’re managing five websites or 200, consolidation tools simplify managing tasks across multiple sites. GoDaddy Pro lets me conveniently log in once to manage products for many clients. I specialize in WordPress, striving for super-efficiency and productivity on a single platform, rather than so-so performance across several. And even within WordPress, I focus exclusively on using the Genesis framework and a set of preferred and vetted plugins. Managed WordPress hosting takes care of backups and automatic WordPress updates — and those tasks must be performed manually for clients with other hosting solutions, so I encourage new clients to move whenever possible. I love ManageWP’s consolidated dashboard showing which sites need plugin or theme updates, and more. Thanks to checklists, I don’t worry about mid-task derailment — especially in this interrupt-driven business where I can’t guarantee that I’ll get to the end of the list before the phone rings. In addition to templates for proposals and invoices, I have numerous pre-written emails needing only minor customization. And for information that can stay generic, I post relevant web pages and blog posts, requiring just a link via email. File, but no action needed. Schedule for later and respond “I’ll do it tomorrow” (or whenever). Identify the need for clarification, and respond with a query for more information. Any papers needing filing go in a basket, and at week’s end, everything is put in its final home: folder, binder, scanned for electronic safekeeping, or into the shredder. The basket is reliably processed every weekend, but I’m not constantly shuffling items around. If delaying by hours or days won’t affect the outcome or client wait times, I group similar activities together. Scheduling calls and appointments back-to-back enforces end times, and avoids wasting downtime in between. If I have a bunch of five-minute quickie site updates on my list, I’ll give myself the time limit of listening to one of my beloved Broadway soundtrack albums to get through as many as possible, and that makes several clients happy while only one waits for an extra hour to get his request processed. Yes, I like to meet with clients in person, but is it necessary to do the work? Not usually. And I won’t physically meet with potential clients until the proposal has been accepted. No confirmed work? No in-person or drive time. I insist on all incoming website change requests via email. I want them documented so I can circle back with questions, respond when done, and defend against claims I did not complete as requested. I’ve fired clients for continually texting me change requests. Even if we have discussed it, I ask clients to send me an email to confirm details, thereby attaching a timestamp to it. So there you have it, my top 10 organizing tips. What are yours? Share in the comments!